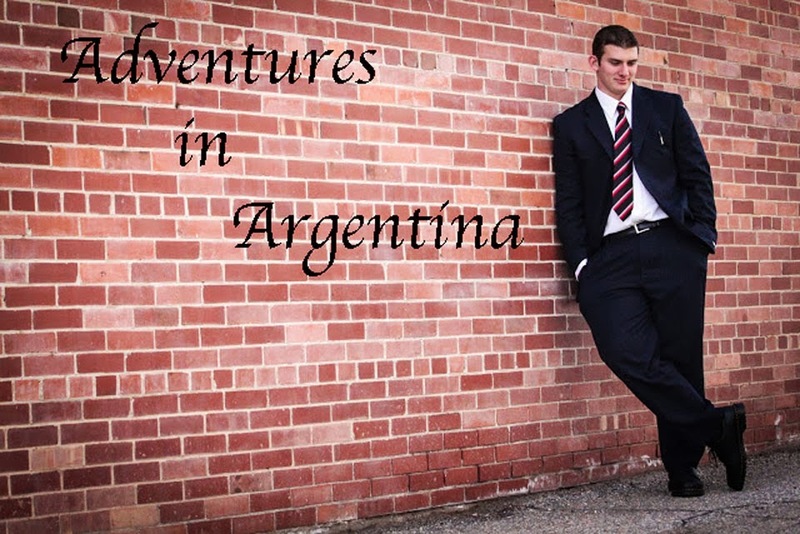 Adventures in Argentina : SIX MONTHS! Anyways! As for this week, number-wise, we did really good! I will talk about the people one by one. We taught a joven who is 17 years old named Cristian Gutierrez. He is a stud. Came to church 2 times already and is so ready to be baptized. We taught the Restoration with him and another joven named Agustìn, who is 17 also. After the lesson, we asked him to be baptized on the 21st of December and he said yes! Miracle! Elder Rivero and I were so excited to have someone on date that wasn´t going to leave to Buenos Aires, like Cesar. So, we set up an appointment for Saturday at the same time. We asked some more jovens to come join in on the Plan of Salvation. As we were waiting for Cristian to come, we helped some of the members clean the chapel. Turns out, after some time, Cristian didn´t show up...nor did he answer his phone...nor did he come to church the following day...nor go to choir the following night. 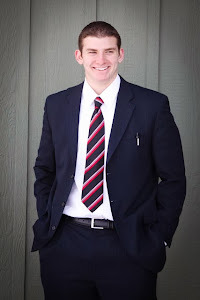 As I mentioned in my previous letter, his parents are Jehovah´s Witness. Right now, Elder Rivero and I are just hoping nothing bad happened to him and that his okay. We still have yet to contact him. We don´t know his address because of the situation with his parents. But, we are praying and waiting for a miracle. Cristian was one of the investigators. Another is named Melisa, who is a referral from a girl is getting ready to serve a mission, her sister-in-law that is. We shared a scripture and invited her to investigate the church and she said she definitely would. We have an appointment on Wednesday. The other two is a couple named Gabriel and Marcela. We have been trying to get a lesson with Gabriel for about a month. He has always been putting it off, until last week. We gave him the Restoration pamphlet to read and ponder about, turns out he didn´t read it. But! His wife did, or we think they are married, (people usually aren´t married in Argentina.) Marcela, his wife, is a professor for a Catholic church. She had a lot of questions about Joseph Smith and why he is important. Elder Rivero and I just looked at each other and said, "Well...we have a great lesson about this..." So we taught the Restoration, according to their needs and lets just say she was Gospel punched in the face! Right as Elder Rivero said the First Vision, her whole face just changed and her eyes got really big, she definitely could tell something was there and that thing was the Spirit. She is really understanding and wants to understand what the Mormons believe in. As for Gabriel, we found out that he doesn´t believe in a God...so we are kind of in a pickle with this. We have a Catholic professor and guy who doesn´t believe there is a God. But, we did invite them to read the Book of Mormon and to pray and explained that if the Book of Mormon is true, then everything else with José Smith is true. 28 And Alma and Amulek came forth out of the prison, and they were not hurt; for the Lord had granted unto them apower, according to their faith which was in Christ. And they straightway came forth out of the prison; and they were bloosed from theircbands; and the prison had fallen to the earth, and every soul within the walls thereof, save it were Alma and Amulek, was slain; and they straightway came forth into the city. I can just picture a movie of this! It just gives me chills! The Book of Mormon is the word of God! Joseph Smith was a prophet of God! Stay true to the faith! Look to the funny stuff during the day and smile. Adam fell that men might be that they might have joy! Right? Then, smile :) Just as Elder Wirthlin said, learn to laugh and what President Monson said, you look better with your head up high.